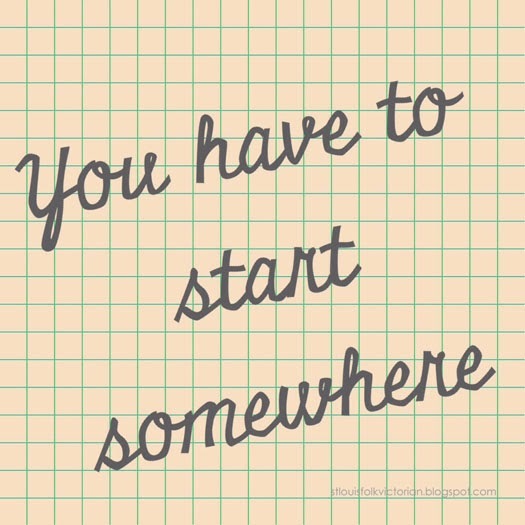 This is the 3rd installment of my "You Have to Start Somewhere" Series. There are links at the bottom of this post, if you would like to catch up. 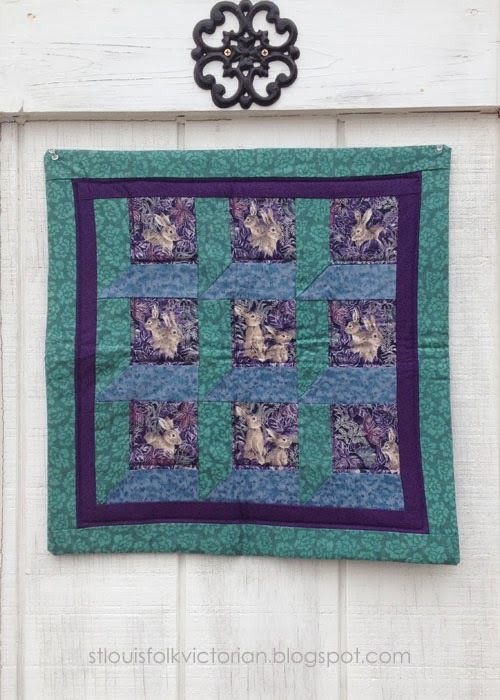 This week, I'm sharing the first of several quilts that I made in 1999. If you have been following along, you'll notice that there is a time-span of about 5 years where I didn't make a single quilt...a quilt top maybe; but a finished quilt, probably not...or at least not one that I have any record of making. 1999 appears to be the sweet spot of my early quilts, as I made several that year...this is the first. This little one measures 20" x 20" and yes, it is wonky; but not intentionally or artfully so. I didn't know at the time that one was to "square up" their quilts, and when you combine that lack of knowledge, with the fact that I used my quilt front as a "wrap-around" binding...is it really any wonder that it is wonky? I adore Rabbits, did back then and still do now. Did you see the Rabbit Stampede video, it's Ah-Mazing!!! 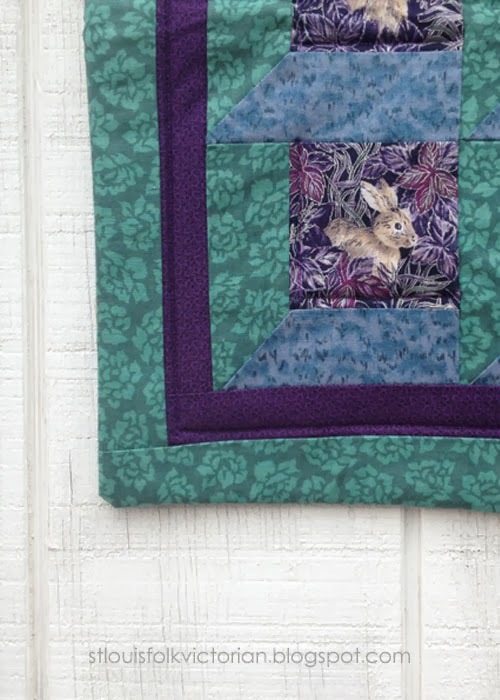 I've had several pet rabbits throughout the years, so it is no surprise that I wanted to make a quilt with them as the focus. There are several reasons why I like this quilt, most of which are that there are a lot of FIRSTS jam-packed into one small wall-hanging. This is the first time that fussy-cutting appears in my work. I likely saw it somewhere and liked the look. This block, called Attic Window, uses Y-Seams (another first for me)...and anyone who has made a block using Y-Seams knows that it is not always an easy thing to do. This is the first time borders appear in my work...well that purple border. I can tell you with certainty that the outside green border was not added because I wanted to enlarge the quilt or for aesthetic reasons. It is there purely because I chose to use the same fabric for the backing and still not grasping the concept of how a binding is made, that border is wrapped around and sewn to the back. Finally...take a look, I upgraded to a real sewn on label, not just using Sharpie directly on the quilt, like I did on my first. It is interesting what sticks with you after so many years. For example, I can remember buying that particular green print because it reminded me of cabbages and we all know that Rabbits LOVE leafy greens...hahaha. So, have you found any of your old quilts? 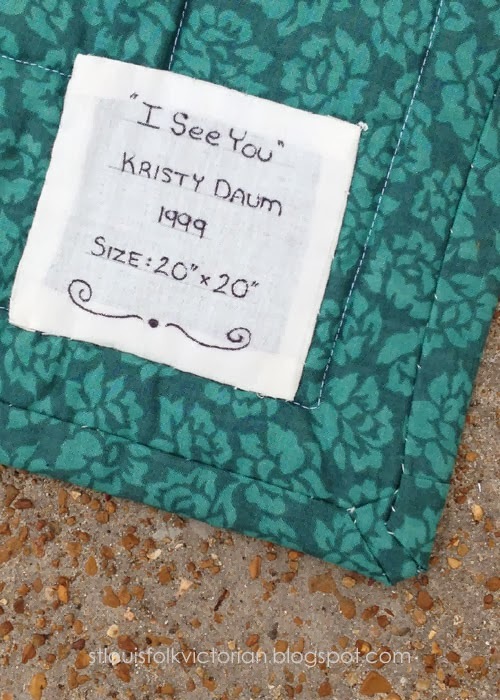 Have you thought about writing your own "You Have To Start Somewhere" quilt journey?